I'm counting down the days - four until I run my first marathon (and last, thank you very much), and 10 until I disappear off to Whitstable for some Easter weekend R&R and OMG seaside joy. Oh this chippie range just kills me. It's so delicate, yet completely spot on. 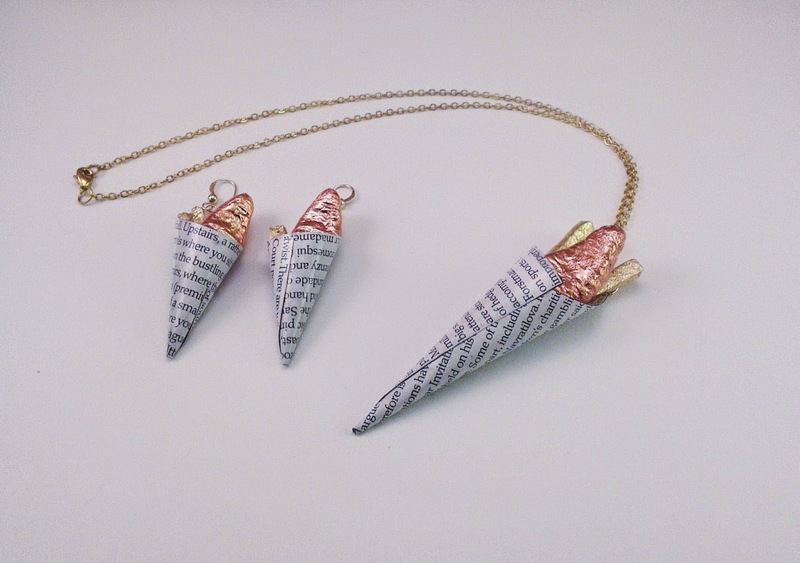 The necklace is £25, as are the earrings, and both come in a recycled magazine cone. Sadly, nobody has done a Calippo necklace yet (Calippo Sport! Tasted of gooseberry for no good reason!) but cool down with these ice pop/lolly necklaces. They're £18, or two for £28 and you can choose from cheery, orange, banana, lime and the time-honouredly weird blue raspberry. 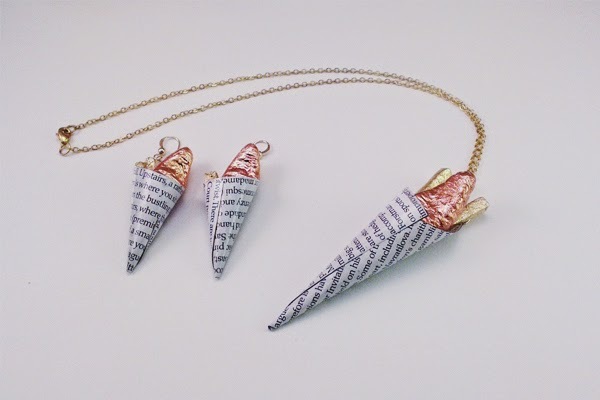 They're called ice pop necklaces, but they have a stick, which definitely makes them a lolly according to the Ice Cream Legislation Guild which I just made up. Wear everything from the sailboat range together. I dare you. What do you mean you'll look like you've dug out your plaster of Paris kit from the 80s? Well, fair point actually: let's continue to the separates. 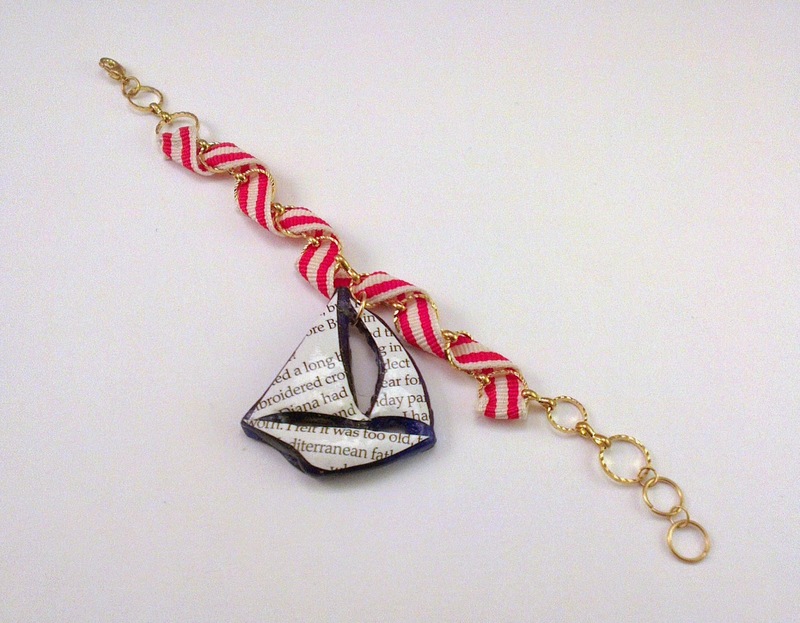 These paper sailboat bracelets come in different combinations so you can choose your perfect one. Choose grosgrain ribbon in navy, light blue or red, and red, blue or gold for your sailboat. Each one costs £30. 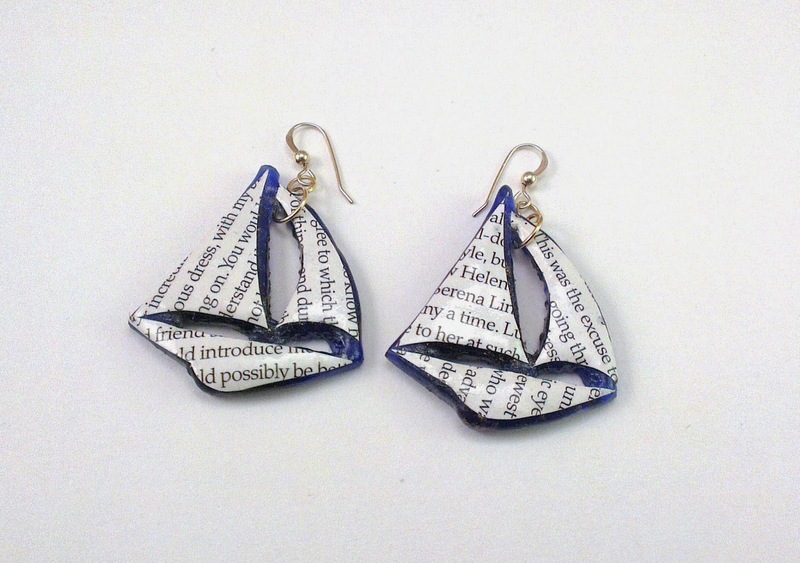 Or you could go for those lovely earrings at the top, £25. That not enough boat for you? Want MORE boat? 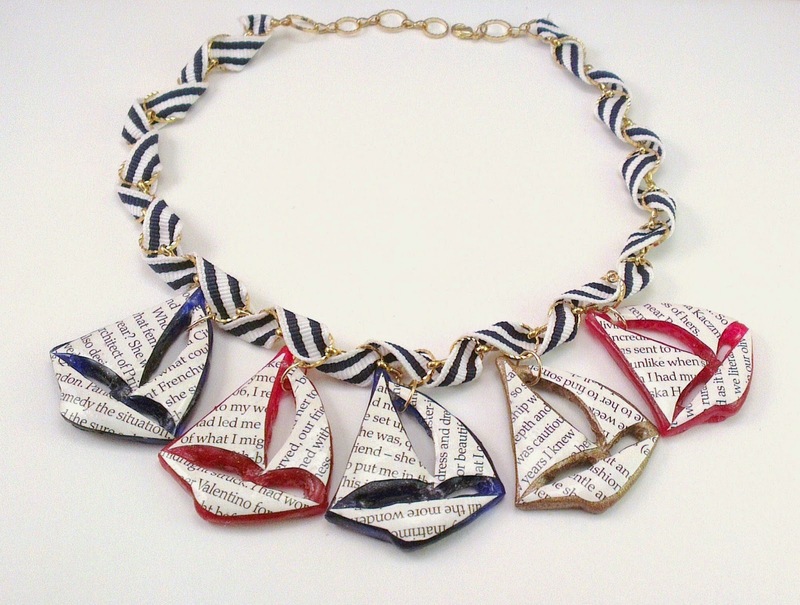 Then the sailboat necklace is for you. As before, you can choose your ribbon and 'your' boat - then the other boats will be a mix. It's ridiculously cute, and £40. And for some non-British seaside: Sarah grew up in New England, home of delicious, delicious lobster goodness. 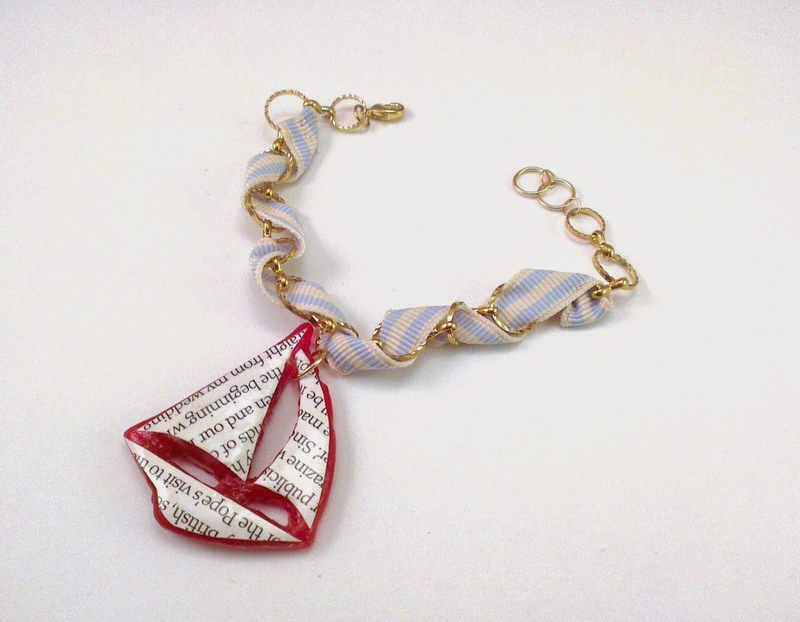 So this lobster roll necklace is almost as tasty - it's £30. These are fab, I love the fish n chips stuff so much! Have a brilliant time in Whitstable - very jealous (though not of the marathon bit first). HOORAY! I can't wait! (For Whitstable. I can definitely wait for the other). And yes, I completely love these: just great fun. I love Whitstable so much. You're going to go to Windy Corner Stores, aren't you? Jealous.